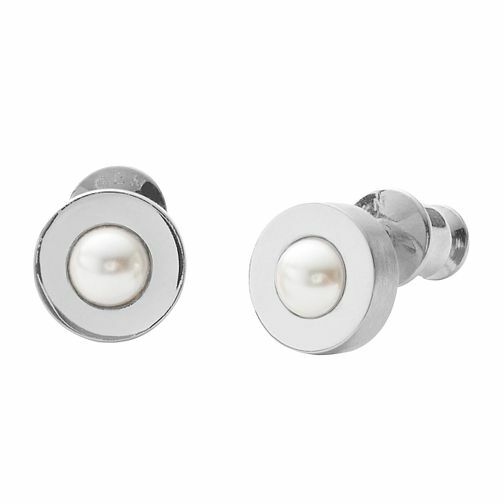 Skagen pinpoint chic, minimalist design with these stud earrings. Featuring a centre of a single crystal pearl and frame of polished steel - these glossy earrings will never look out of place. Contemporary and elegant jewellery from Skagen.